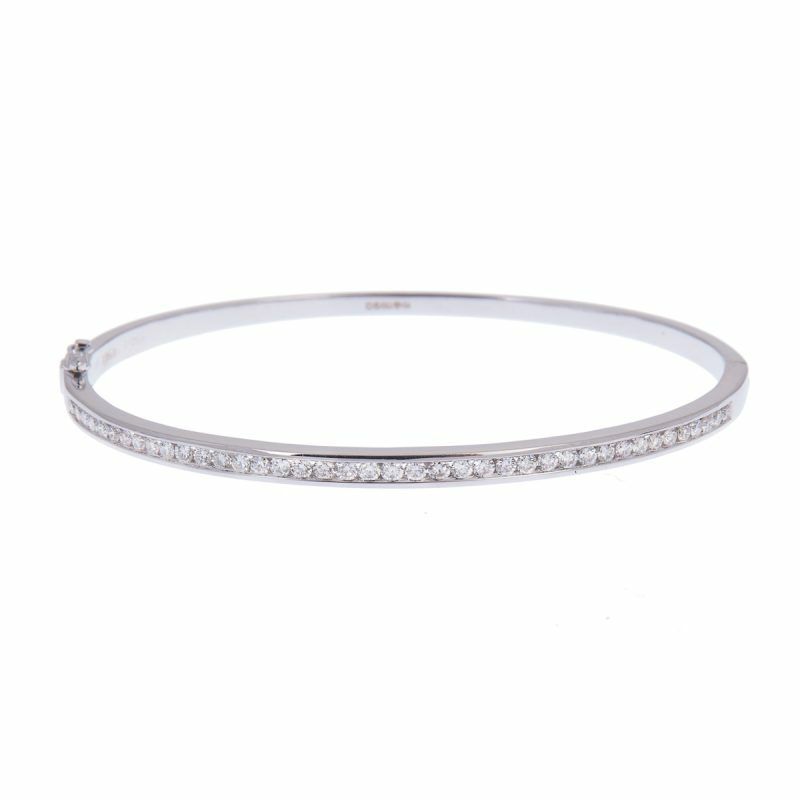 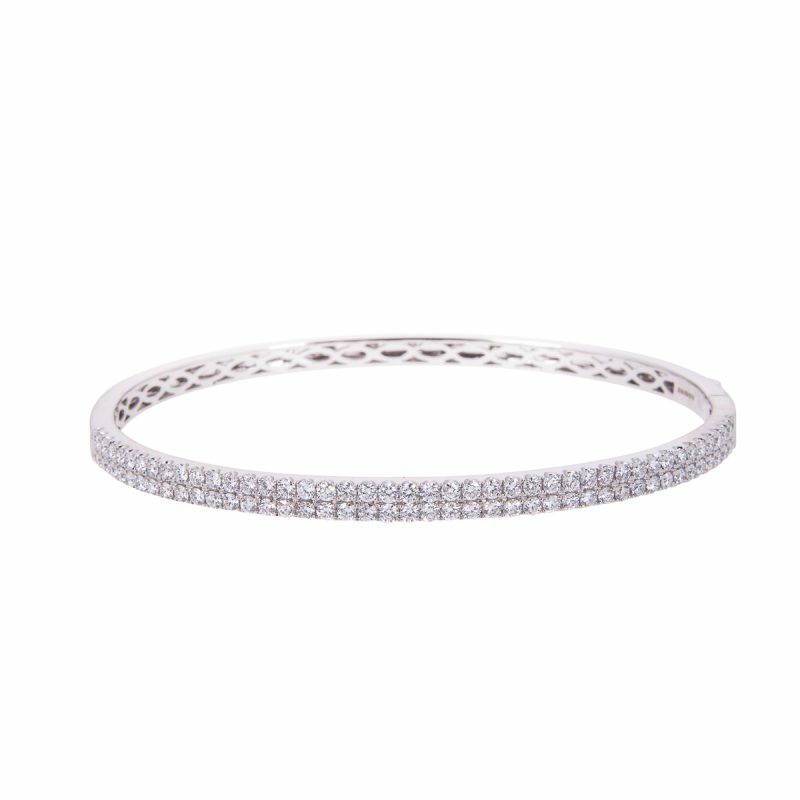 In your quest for elegant simplicity, look no further, this 18ct white gold diamond bangle. 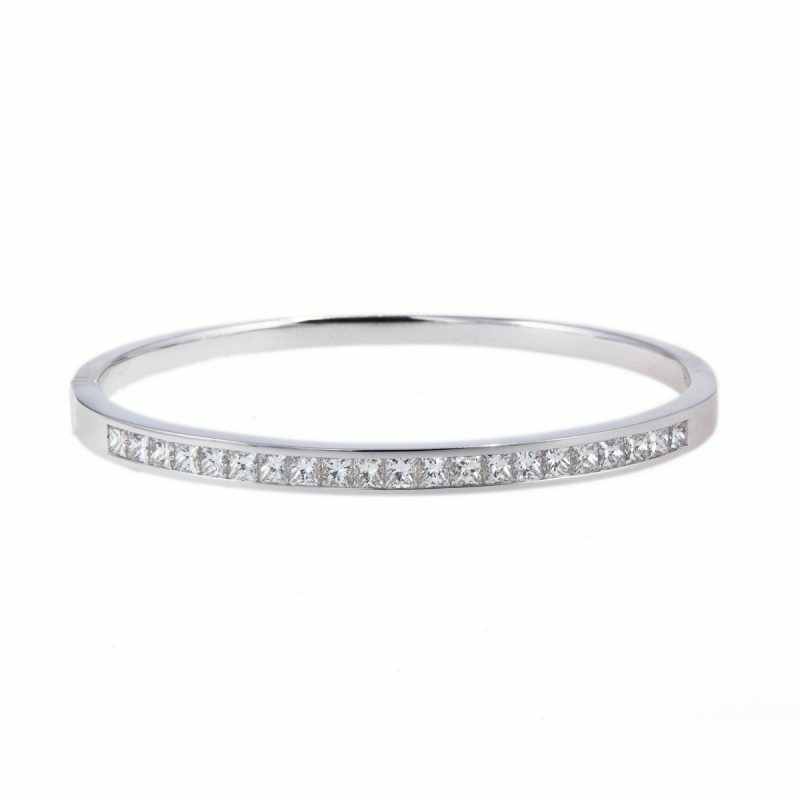 Set with a two rows of brilliant cut diamonds, mounted in a fine claw setting to accentuate their beautiful shape. 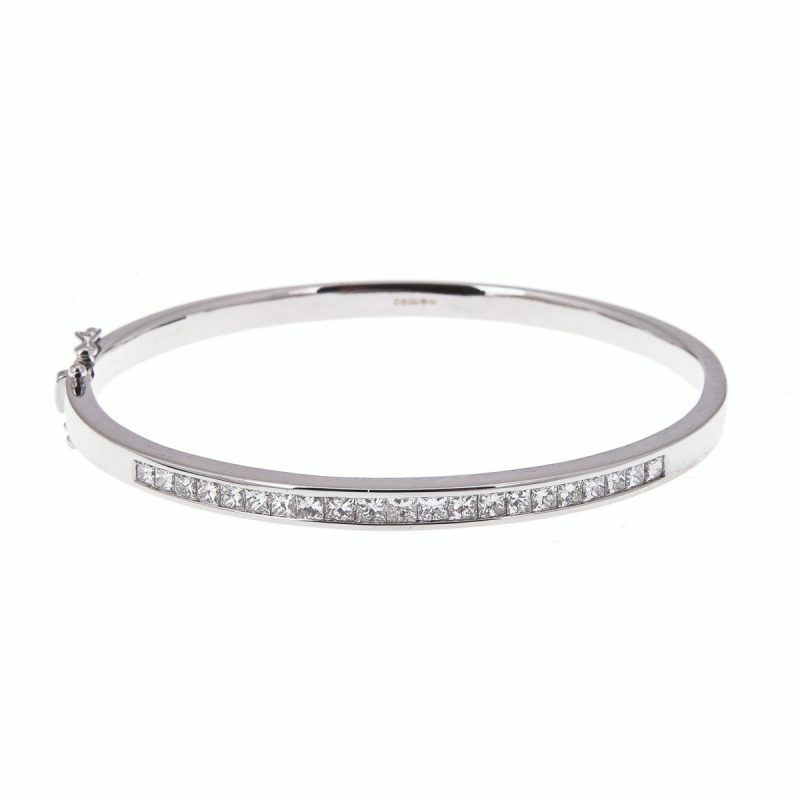 A bangle that is sure to impress. 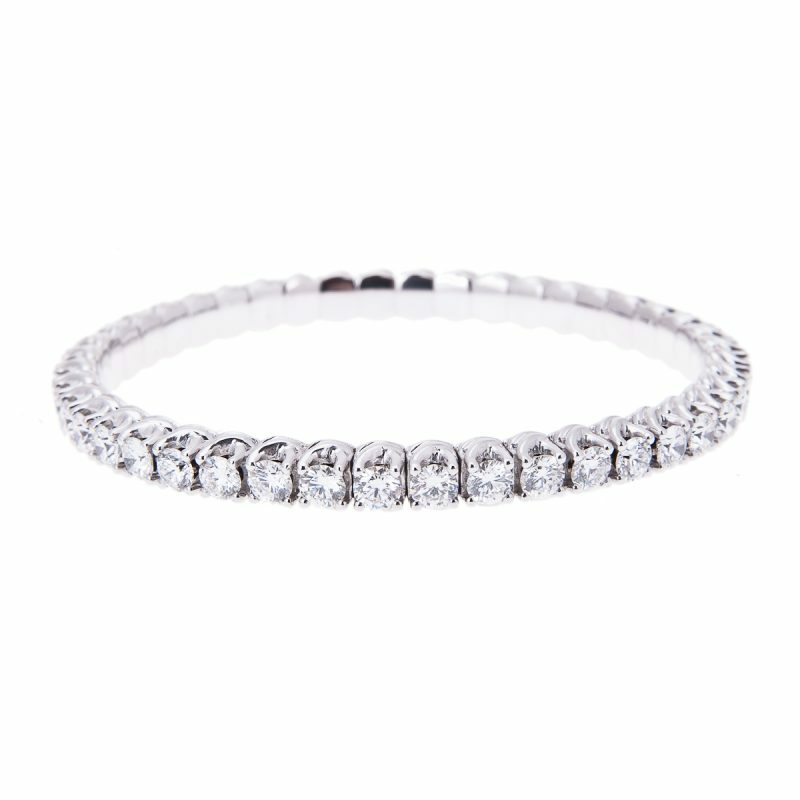 The round brilliant cut is a remarkably versatile cut filled with sparkle and fire.